Does the lack of $1000+ status symbols available for the Android Wear market really get you down? If it does, then start saving your pennies now. According to Bloomberg, TAG Heuer and its owner LVMH intend to release a luxury smartwatch in either October or November of this year, with a price tag expected to be around $1400. That's much, much more expensive than even the priciest Android Wear devices to date, about entry-level for a TAG watch, and approximately one tenth the price of the most expensive Apple Watch. Like this, but with pixels. 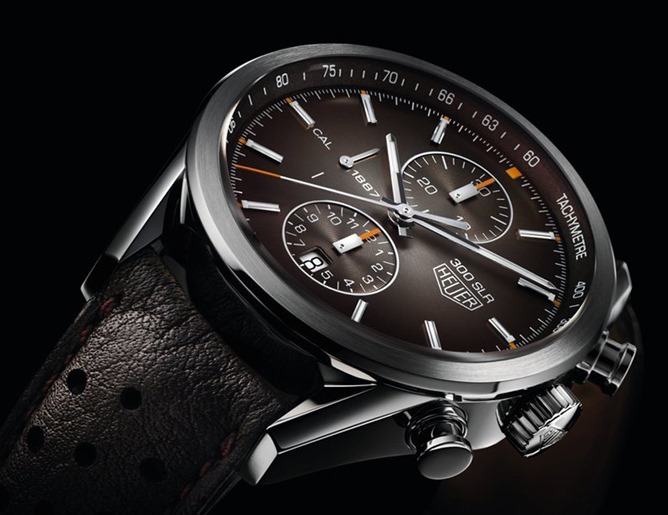 We've heard that TAG Heuer intends to release a smartwatch in partnership with Google and Intel, making it the first of the Swiss luxury brands to jump on an established wearable platform. It will be interesting to see how the company distinguishes its Android Wear offering from the likes of LG and Motorola - after all, Swiss watches are generally sold at a premium based on their "superior craftsmanship" and the complexity and accuracy of their mechanical movements. There are only so many bells and whistles you can add onto a tiny system-on-a-chip to create differentiation, and Google's relatively tight grip on the platform means that software differences will also be minimal. So far most of the conventional watch brands have been hesitant to jump on the smartwatch bandwagon. With consumer interest in wearables rising, it remains to be seen how many of the old guard will jump in with speculative products and how many wait a decade or two before giving the form factor a try.